Your ARPF is thrilled to see all the attention our research received at the Alzheimer’s Association International Conference (AAIC) this past July. Dr. Dharma Singh Khalsa and Dr. Tejinder Kaur Khalsa presented our latest breakthrough research. ARPF’s The Pink BrainTM Project was featured at the conference and written about by Healio Internal Medicine. The article goes on to explain, “Women who practiced Kirtan Kriya 12 minutes per day for 8 to 12 weeks demonstrated improvements in cognitive function, cerebral blood flow and neuroanatomical plasticity of neurotransmitters in the anterior and posterior cingulate gyrus, hippocampus and pre-frontal cortex. Practicing and sharing this research has the potential to help millions of people. More so, since Kirtan Kriya is proven effective, ARPF has designed a course to educate healthcare providers with the knowledge and tools to conquer cognitive decline. Our program, called Brain Longevity Therapy Training (BLTT), shares this life-changing research. It’s especially important to those suffering from memory loss. We have the possibility to prevent Alzheimer’s, now we need leaders in the health and wellness field to take this knowledge and make a difference. BLTT is aimed at giving attendees the expertise and tools to thwart the AD epidemic. 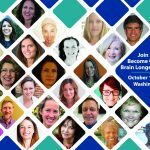 As an attendee, you will increase your knowledge and credibility around neuroscience, yoga and the life-changing impact meditation has on the brain. You will become equipped with practical tools that you can immediately put to use to enhance your career, teaching, practice, and life. To read the full Healio article, click here.